Get awesome results. From large jobs to little tasks. They do it all. All kinds of repairs solved quick. Dependable and skilled local teams. Free job estimates. Reasonable rates. Your space will look great when it is over. Maybe you have a separation, hole or seam you want to get repaired. This is a local area company with lots of experience in this field. Although some assignments are new construction, much of the usual work is with existing buildings, maintenance and renovations. Repair assignments can include patching a dent or two, swapping parts of sheetrock, or a blend of the two. If you’re a landlord, homeowner, or the administrator of a commercial building, they can provide a top quality and affordable option. 1. The order of drywall sheets is brought to the work area. 2. The sheets are hung on the ceiling and walls. 3. The trash and unused material is hauled away, and the work area is cleaned up. 4. The joint seams and the anchoring screws are taped and covered with joint compound. 5. The surfaces are sanded, finished and given a final texture. When those five steps are finished, you will be all set to begin painting. It is your choice as to how many of these steps they complete for your property. Most property owners have them do all five, but they can just do one or two if you want. For example, in many cases, the interior of a garage might get drywalled, but it will not end up being painted, so the final step of finishing and sanding is normally skipped. Or sometimes a property already has sheetrock up on the walls and ceiling. They are asked out to complete the rest of the taping and finishing work and get it all set for paint. In addition to the standard drywall products, there are special fiberglass-based boards built for use in washrooms and other wet locations. And there are strong cement wall boards created to support heavy tile on walls where you want to put up tile. Accidents and other problems can happen when you own a house. Plumbing situations and human mishaps are the major factors behind sheetrock damage. Holes, bruises and moisture damage happens. If your property issue is limited to only one isolated hole in a remote wall, there is a chance you could try to repair it on your own. Every home improvement store carries a kit for patching sheetrock. The majority of homeowner applied patches don’t look too great. Patches generally take a little practice to figure out how to do them right. Holes or other wear and tear in the main spaces of your house should most likely be taken care of by someone with some experience mending them. It’s difficult to make a big patch look seamless. In the finishing and texturing stage, they attempt to make your new or repaired walls look similar to your old walls. What Size is Your Project? Fixing a individual hole or trouble area. Making a couple of old or dented interior walls or ceiling fixed and ready for paint. Eliminating and replacing pieces of damaged drywall. Arranging larger size removal and replacement of one room or maybe more. From tiny problem mending to major replacements and repairs, they have some experience getting it done. Which surface finish would you like on your wall surfaces? Totally unfinished – just taped, meant for unfinished work rooms or garage areas. Smooth surface finish – zero texture, in position for painting or wallpaper. Simple texture – gives some extra dimension. Complicated texture – height and dimension added and more difficult to do. Texture matching – your new materials match up with your old ones. A lot of people are tired with the popcorn ceiling look. They will clean it off and replace it with a more modern looking texture. 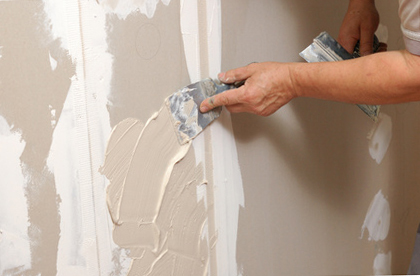 This company is a group of dependable sheetrock installers and finishers. They supply honest, decent work at a fair cost. They use good quality materials, plus the finest tools and safety equipment, so they can have your task done as fast, and as safely, as they can. Home improvements will produce a mess. They are considerate of your furniture and property. They strive to maintain the dust and mess to a minimum. When the project is completed, they try to clean up as well as they can and take all the trash with them when they leave. They work on a variety of renovation jobs from expensive custom residences to basic repair tasks and multiple-family or business buildings. 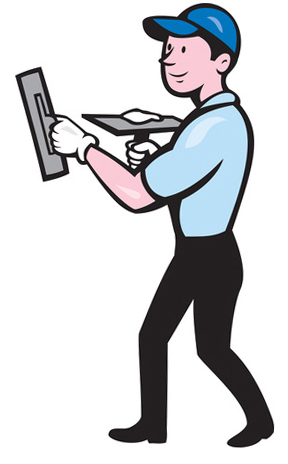 They work for anyone, from individual homeowners to industrial building managers. But they will try to work out a quote for you. Your project cost will mostly depend on the size and scope of the job. While they might be very similar, many situations are relatively unique. Because there are a couple of variables, the easiest way to get your quote would be to spend a few moments on the phone. They will work to get your new walls and ceiling painted too. They will do that if you’d like them to. If you’re planning on finding a separate painter, that will be ok with them too. Your home won’t be the first job they work on. Projects get worked on in downtown HB, Lake Huntington, Seacliff Village, Central Park, Yorktown, HB High School, Garfield, Bartlett Park, Newland and Beach areas. Folks in other nearby areas can get help as well – Costa Mesa, North Beach, North Costa Mesa, Sunset Beach and East HB. Work gets done all over the area – downtown HB, Lake Huntington, Seacliff Village, Central Park, Yorktown, HB High School, Garfield, Bartlett Park, Newland and Beach areas.